The good news is that Greece is not going to go bankrupt -- at least not this month. Despite Athens facing a €3.2 billion ($3.96 billion) bond repayment in August and rapidly running out of cash, the European Central Bank (ECB) last week rubber-stamped a request from the Bank of Greece, allowing it to boost the amount of money it can loan to the Greek government. The move should keep the country's head above water at least until September. After that, though, all bets are off. The country's international creditors, represented by the troika of the European Commission, the ECB and the International Monetary Fund, left Athens on Sunday, but not before getting the government of Prime Minister Antonis Samaras to agree to push forward far-reaching reforms and further savings measures -- all of which promise to be difficult to push through in the face of increasing weariness on the part of Greek voters. Furthermore, there are new indications that the euro zone's biggest paymaster, Germany, is rapidly losing its appetite for footing the bill and that Chancellor Angela Merkel will have difficulties keeping her coalition together in the face of difficult currency challenges to come. "According to my forecasts, Greece should leave the euro zone by the end of the year," said Bavarian Finance Minister Markus Söder, a member of the Christian Social Union (CSU), the Bavarian sister party to Merkel's Christian Democratic Union (CDU) and a crucial part of her governing coalition. That, though, wasn't all. "Each new aid measure, every easing of the demands, would be the wrong path," Söder said in comments to the Sunday tabloid Bild am Sonntag. 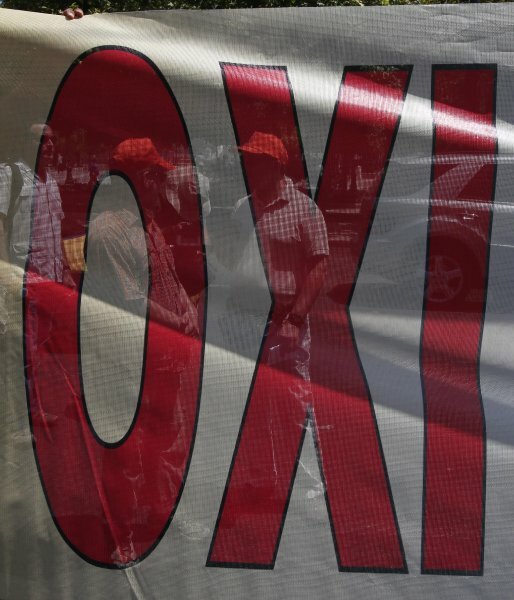 He added that "Athens must become an example demonstrating that this euro zone also has teeth." Just in case his message hadn't quite gotten through, he added: "At some point, everyone has to move away from mommy. 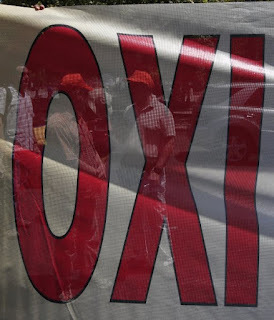 For Greece, that time has come."